The Eurolanche Fan Club organized its biggest member meeting ever on the occasion of its 10th birthday. The first European and biggest Fan Club of the Colorado Avalanche celebrated its 10th birthday on August 12, 2017. Eurolanche has thus achieved yet another big milestone, which further proves that the entire project is unrivaled on the entire NHL market. No other project is as old, or organizes similar events as Eurolanche does. During the entire 2016-17 season, the Fan Club celebrated its anniversary, with the celebrations being capped off by Eurolanche’s biggest-ever member meeting – 18 Fan Club members from Slovakia, the Czech Republic, Hungary and Finland meet in Poprad, Slovakia in the vicinity of the High Tatras. Each participant of Eurolanche’s anniversary meeting received a welcome package with various Eurolanche and Colorado Avalanche memorabilia, including signed photos of Avalanche players. Following a toast and dinner, the participants watched a video commemorating Eurolanche’s most memorable moments, as well as video greetings from Joe Sakic, Adam Foote, Uwe Krupp, David Aebischer, Steven Reinprecht, Patrick Wiercioch, Nikita Zadorov, Mikhail Grigorenko, Tyson Barrie, Milan Hejduk, Peter Budaj, singer Jake Schroeder and sports announcer Alan Roach. This was followed up by a bowling tournament. The next day began with a visit to the mayor of Poprad, with the participants receiving promotional material, as well as souvenirs to remind them of their visit to the city. Afterwards, the participants visited the ruins of the Spiš Castle, a UNESCO World Heritage Site and one of the biggest European castles by area, where they took group photos with Eurolanche flags. The majority of participants wore a white T-shirt commemorating the Fan Club’s anniversary meeting. After lunch, the group had a surprise waiting for them – a meeting with former Washington Capitals star and the scorer of Slovakia’s golden goal at the 2002 World Championship Peter Bondra. 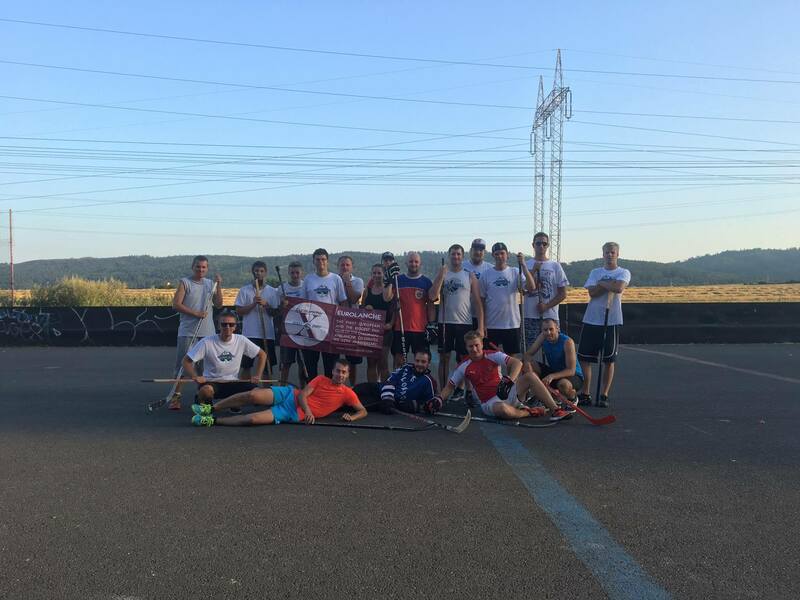 Later, the participants played ball hockey and spent the rest of the evening in Poprad. The third day of the meeting was the hardest, as a number of participants took a hike from Starý Smokovec to the Téryho Chalet, the cottage with the second highest elevation in the entire High Tatras (2015 meters - 6680 feet above sea level). The hike took about four hours, but the group made it without any problems. Other Fan Club members went to Zelené pleso (The Green Tarn), Hrebienok, Rainer’s Chalet and the Cold Creek Waterfalls. In the evening, the participants celebrated the 10th anniversary of Eurolanche, as the Fan Club came into existence on the exact date 10 years ago. Following a toast with Stranahan’s Colorado Whiskey, Fan Club members had cake decorated with Eurolanche’s anniversary logo and the logo of the meeting. 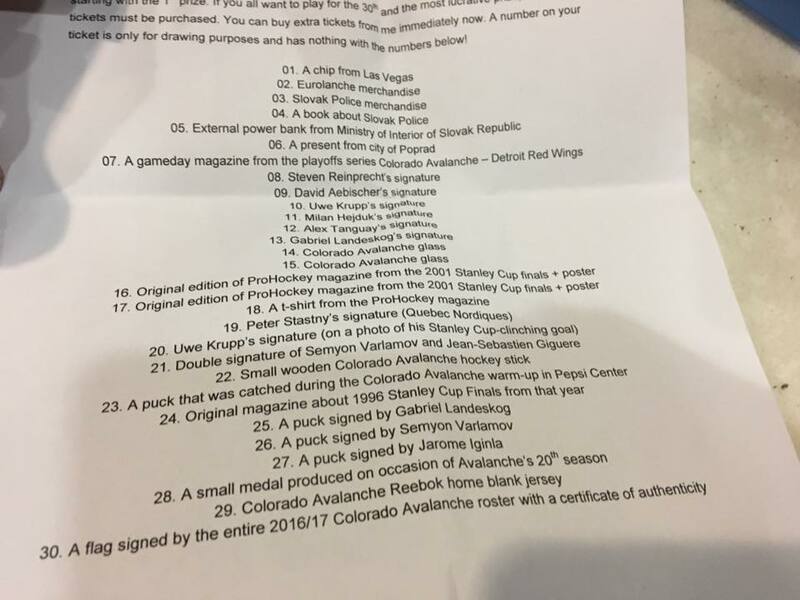 The cake was followed up by a special raffle, with more than 30 Colorado Avalanche souvenirs being available as prizes. 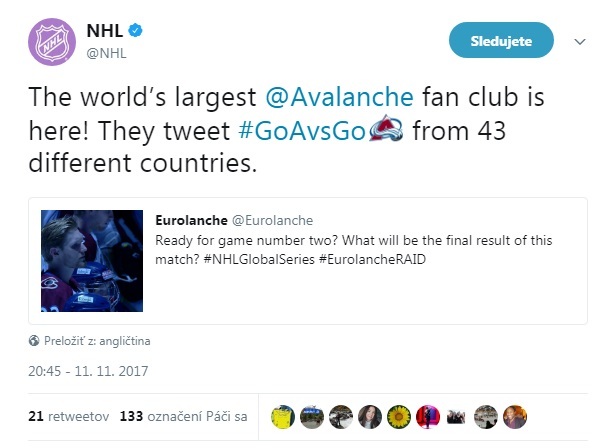 The raffle was Eurolanche’s biggest contest ever, as the main prizes were an authentic Avalanche jersey and a flag signed by the entire team, which came with a certificate of authenticity. Additional souvenirs and memorabilia were available to Eurolanche members, who could take them for free and as many as they liked. In total, more than 100 souvenirs were presented to all participants. Although the meeting officially ended on the next day, several participants still managed to visit other interesting places in the region. As part of the festivities, the public was presented with the cover of the book titled ’10 Years of the Eurolanche Fan Club’, which will be published in both Slovak and English in fall 2017, as well as the Yeti Ultras group for Eurolanche’s most active members. Eurolanche’s next event will be the Eurolanche Raid 2017 from November 8 until November 12, 2017, on the occasion of two game between the Colorado Avalanche and the Ottawa Senators in Stockholm, Sweden, with 52 Eurolanche members from 10 countries and two continents participating in the event.